This research investigated the function of envelope protein P74 of Autographa californica multiple nuclear polyhedrosis virus (AcMNPV) in primary infection to host. A p74-inactivation recombinant baculovirus, rAc-gfpΔ p74, was constructed by inserting gfp driven by AcMNPV polyhedrin promoter into the p74 locus of AcMNPV genome. Bioassays showed that the P74-null occlusion bodies (OBs) failed to infect its natural host larvae, Spodoptera exigua, per os, while the p74-null budded virus (BVs) could infect host larvae by injection. However, its inability for oral infectivity was rescued by a mixed infection with wild-type OBs or with the purified P74 protein expressed in Spodoptera frugiperda Sf-9 cells, and the P74 protein rescue was in a dosage-dependent manner. 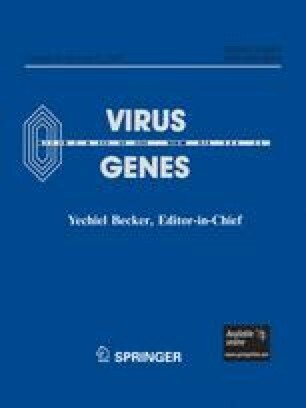 The 50% lethal dosage (LD50) value of a P74 overexpression recombinant virus, rAc-p74++-polh+, which contained two copies of p74 gene, was not significantly different from that of wild-type virus. One-step growth curve assays of viruses suggested that BV production from cells infected with p74-null virus was similar to that from cells infected with wild-type virus or the P74 overexpression virus. ELISA analysis indicated that P74 protein could bind its host brush border membrane vesicles (BBMV) efficiently with saturation, but it could only bind its sensitive midgut BBMV specifically. In vitro pull-down assay showed that a protein of approximately 35 kDa in the BBMV was involved in the specific binding. These results demonstrated that the P74 protein is essential for oral infectivity of occlusion-derived virus (ODV) and plays a role in midgut attachment and fusion.